The 6 meter high Karado Torii, the first bronze torii in Japan, as seen from the Yomeimon in Nikko. 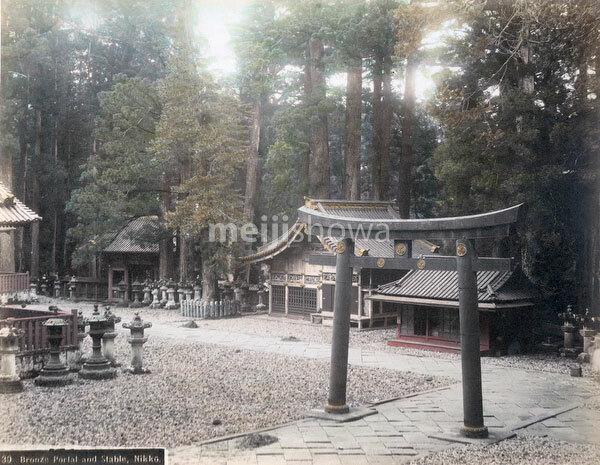 The building in the center is Shinkyu, the stable for sacred horses and the only building of plain wood in Toshogu Shrine. The entrance gate on the left is Niomon.